Sage Live is the solution everyone wants to know about at the moment. We have been working with Sage Live for almost a year now and we love it – so much so that we have even implemented it internally! So why do we love it so much? 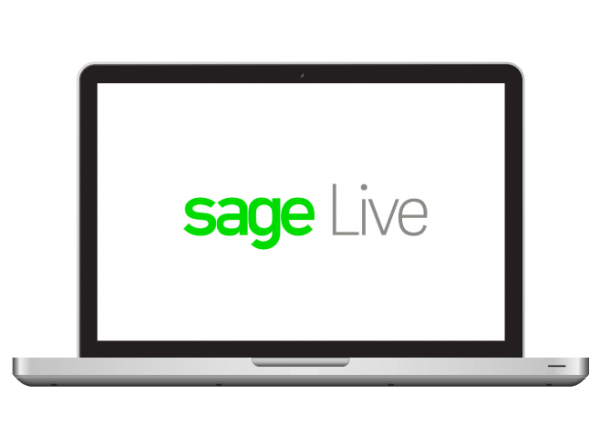 Sage Live is Sage’s new flagship product that is a revolutionary cloud based accounting system, built on top of the Salesforce platform. Sage listened to the customers’ demands and developed a strong partnership with Salesforce. It was revealed that customers wanted a product that has good visibility and can link all areas of the business, which resulted in the birth of Sage Live. One misconception of Sage Live is that its solely an accounting product… Sage Live is so much more than that. 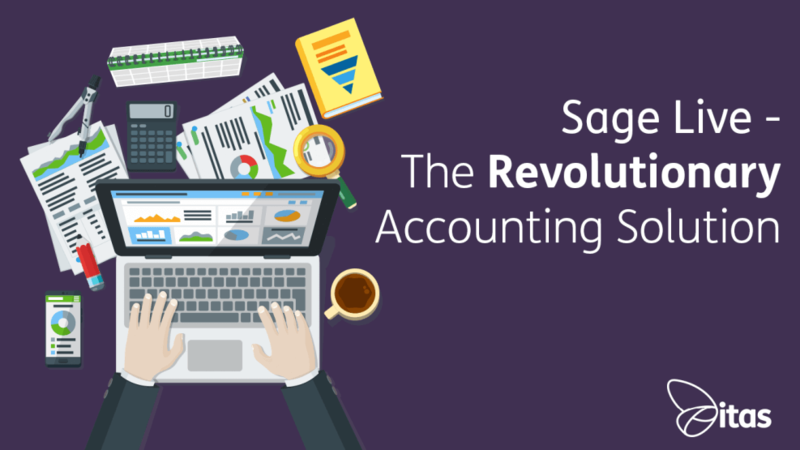 With Sage Live you must buy into the concept of a new way of accounting, it’s nothing like your conventional accounting product. A unique feature being it’s the first accounting system that can connect your front of office with your back. There’s nothing else in the market remotely similar to it. Another great feature is that Sage Live is cloud based. If you haven’t considered cloud based solutions already, then you should! Now is a better time than ever to do it. One of the many benefits of a fully cloud based product is that it’s accessible anywhere and you are no longer limited to being attached to your office. Sage Live also has updates available every three months which you have access to free of charge. The process of upgrading is much simpler to that of an On-premise accounting solution, you will always have the latest version of the software with access to all the latest features. One of Sage Live’s major selling points is its accessibility to ‘LIVE’ information anywhere on the go. With other products on the market once you pull a report (for example), the information is already dated. With Sage Live however, the information is live and in real time. You have access to a large range of reporting tools in Sage Live including Einstein Intelligence (also known as Wave Intelligence), a familiar Salesforce product. Other reporting capabilities include Sage Intelligence, Standard reports, Dashboards and Mobile reporting. Sage Live’s mobile reporting links in with its ability to access live information anywhere on the go. You could be at a café enjoying your morning coffee while reviewing your P&L report for the month. Sage Live doesn’t just work with mobiles, Sage’s new partnership with Apple gives you the ability to access Sage Live on any Apple product. You can also access Sage Live on any android device via the Salesforce One app. Sage have granted you access over multiple devices ensuring you visibility and accessibility wherever you are. Visibility over multiple company’s is something of high demand from Sage’s customer base, particularly if you’re a Sage 50 customer. Sage Live has granted you access to visibility over multiple companies. You can report over multiple companies, dive in and out of multiple companies and all can be performed in multiple currencies. Sage Live’s intuitive lightning interface allows this functionality to be performed easily within the system. Multi-company is standard in Sage Live, each company is at no extra cost! You have access up to 99 companies in Sage Live. Another great feature is the front of office functionality. There is both projects and sales features that can be utilised. For sales teams, you can set ‘Jobs’, you can allocate employees and customers to the job. You also have the ability to link in proposal documents, forecasting, accounts and schedules. Once a particular job is ready to invoice, your finance team has full visibility of its progress and can comfortably invoice with minimal time wasted on hand overs. For communication on handover or where a particular account is up to, you have access to a communication tool, Chatter. Chatter is a brilliant Salesforce product included within the Sage Live package. Think of chatter as an internal social media platform. If you have multiple companies or departments in your business and you need them all to see a piece of information. You can post, like you would to Facebook or twitter, and it will be added to the Chatter feed. This saves you sending out mass emails that everyone replies to, reducing your workload. In Chatter everyone can make comments, minimising time spent replying to your emails. You can also message individually if you need a private conversation with another colleague. Chatter saves you time spent on emails and minimises face to face conversations about customers by linking accounts to conversations. Sage Live aims to minimise mundane tasks, one of which is Bank Reconciliation. Yodlee downloads your bank transactions and performs automatic reconciliation. This automated service saves even more time for your finance team who could otherwise be inputting into Sage for a considerable amount of time. Sage have treated us with a large range of attractive functionality in Sage Live. This functionality is designed to save time and streamline your business. Barriers between front and back office are cut down with Sage Live. It becomes a central hub that the whole business can use every day. Today, we have just scratched the surface of Sage Live’s functionality. We have some honourable mentions to the vast customisation benefits and its Expenses features. The expenses can be imputed on the move by the consultants in your business and then the Finance team have visibility as soon as the consultant have entered it in. We also can’t forget the growing amount of ‘ISV’s’ joining the Sage Live community providing us with exiting new add-ons. Sage Live connects all areas of the business into one place. Accounting is just one area of the business. Save time by cutting out time-consuming processes. Sage Live allows you to manage your business on the move. You have clear visibility over your business over multiple companies and have access to Live, real-time information. It acts as a central hub for all areas of your business. If your open to a new, streamlined way of accounting, linking all areas of your business… Sage Live is the product for you.